Lomas Santa Fe Country Club in San Diego. MAGIC INNOVATIONS – Terry Runyon, Master Comedy Magician, will add that special ZING to your event with his MAGIC! As an entertainer Terry Runyon – Master Comedy Magician is versatile and experienced. Planning an adult function? Mr. Runyon’s Stand-up Magic Show is perfect when you prefer to entertain all your guests at the same time. Need entertainment for a large house party or cocktail reception? Close-up Magic – performed either walk-around or table-to-table – is the entertainment of choice. Having a kid’s party? Terry’s fun-packed and whacky Children’s Magic Show, which includes live animals and lots of audience participation, is sure to keep the kids entertained! 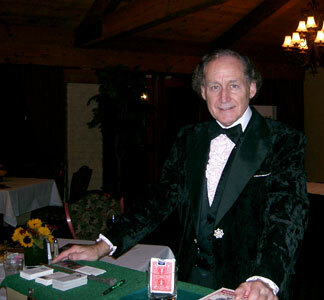 Want to learn more about Terry Runyon and his magic? Just click here TERRY, Master Magician !